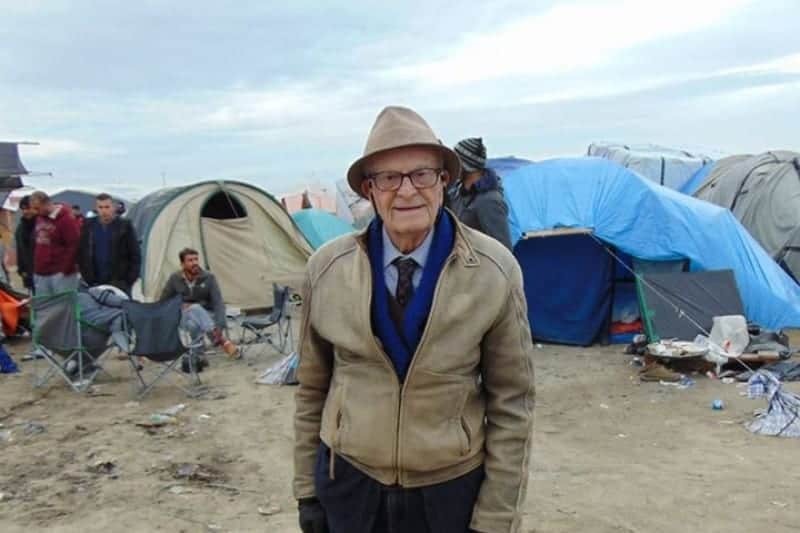 Last night the hashtag #IStandWithHarry trended on Twitter as heroic writer and political activist Harry Leslie Smith was took ill in hospital. Jeremy Corbyn led the tributes to the Second World War veteran who was reported to be “not in a good way” after been taken into A&E by his son, John. The Labour leader said: “We need him to get well soon as the National Health Service, and our movement, needs him”. The 95-year-old, who grew up in poverty in Yorkshire, has made frequent warnings that the country is returning to the dark days of the past as deprivation grips society and nationalist politics enter the mainstream realm once again. Last night Harry’s son took over his Twitter account as updates on “the world’s oldest rebel” were communicated. As Harry fell into a deep sleep early in the night John told him about the concern rippling across Twitter for him. Harry shot to fame with a moving speech to Labour Party conference in 2014. He stole the show, moving delegates to tears during a debate on the NHS and social care. Last year he announced he was to embark on a Last Stand Refugee Tour visiting refugee camps across Europe, America and Australia. I’d prefer it to be JC (marginally as I don’t like his lack of opposition to Brexit) but May seems to be able to hang on and on.